11.1" x 11.6" stitched on 14 count. 8.6" x 9.0" stitched on 18 count. 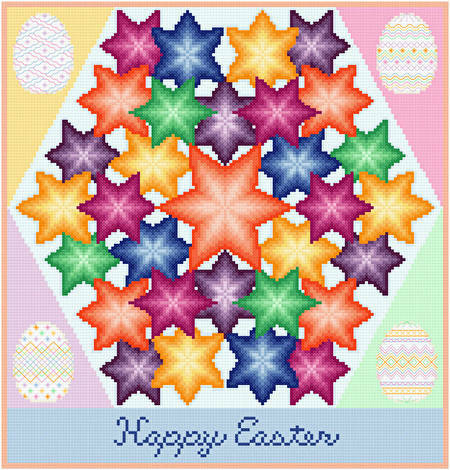 Kaleidoscope - Easter cross stitch pattern... The vivid colors of these stars vary like the eggs in an Easter basket. Pastel corners contain decorated Easter eggs. Whole, back stitches used. Colors may be changed. Words, eggs optional.